Attorney David Bryan was born and raised in Tift County, Georgia. He attended Tift County public schools and graduated from Tift County High School in 1970. He first attended Georgia Southern College (now University) and earned his Bachelor’s Degree in Business Management from GSC in 1975. Mr. Bryan later attended Valdosta State College (now University) and earned his Bachelor’s Degree in Accounting from VSC in 1981. Mr. Bryan earned his law degree from Mercer University in December, 1993, and was admitted to practice in the Superior Courts of Georgia, the Georgia Court of Appeals, the Supreme Court of Georgia, and the District Federal Court for the Middle District of Georgia in the summer of 1994. After 3 years as an associate in a local law firm, Mr. Bryan opened his own law firm in 1997 and has been a sole practitioner ever since. Mr. Bryan served as a Municipal Court judge for two communities for a total of 12 years. He served as Assistant Solicitor for the Worth County State Court for 10 years, and presently serves as that Court’s Solicitor General. (Consequently, Mr. Bryan does not accept client criminal cases in Worth County, Georgia.) Mr. Bryan also presently serves as the City Attorney for the city of Sycamore, Georgia. Mr. Bryan and his wife are members of Tifton’s First Methodist Church, where he serves on the Church’s Trust Committee. Mr. Bryan also is a member of the Tifton Kiwanis Club, which focuses on building a better world by serving children. Mr. Bryan also serves as Vice-Chairman of the Tifton-Tift County Airport Authority, which focuses on the maintenance of and improvements to Tifton-Tift County Henry Tift Myers Airport so that it can best serve Tifton and Tift County. Mr. Bryan also served in Georgia’s Army National Guard and was honorably discharged in 1976. David Bryan is an extremely well qualified and gifted Attorney, he handled my professional law services with utmost professionalism and did so in a very timely manner with great communication skills. I would recommend him and his law office to anyone in South Georgia needing a great attorney that will be honest, forthright, reasonable in his fees and services, and most of all will do and recommend what's best for you his client not what's easiest or beneficial for him as your attorney. You wont find a better attorney in my opinion anywhere in South GA. I contacted Attorney David Bryan to help with my divorce, and I explained to him that my situation would be a little more difficult, as I live in Louisiana and I'm in the military so I would not be able to travel back and forth often. Not only did Mr.Bryan prepare everything quickly and efficiently, but he always answered any questions that I had via email within the same business day. He made what could have been an extremely difficult situation very simple and trouble free. Mr. Bryan is a very devoted and proficient lawyer, and I would recommend him to anyone. I contacted Attorney David Bryan regarding my divorce from my husband on the recommendation from a friend. I was told Mr. Bryan would be aggressive and thorough. I hired Mr. Bryan to represent me in my divorce, but, initially, Mr. Bryan and I just took some time to talk about what results I wanted in my divorce. When I finally decided it was time to move forward, Mr. Bryan quickly filed my complaint for divorce and set a hearing for a judge to hear the temporary issues. I was satisfied with the results of that hearing. Mr. Bryan then advised that we take depositions in my case. Mr. Bryan took my husband’s deposition and my husband’s attorney took mine. Mr. Bryan took all the time I needed to prepare me for the deposition. More importantly, at the trial of my divorce in January, 2017, Mr. Bryan used my husband’s testimony from his deposition extensively to raise doubt on many of my husband’s claims at trial. At the end of the trial, the judge asked that the attorneys submit written argument for his decision. I saw Mr. Bryan’s written argument before he submitted it to the judge. Mr. Bryan's written argument was over 8 pages long, single spaced, and he covered every essential detail to make his argument to the judge what we thought was fair in distribution of the marital assets and debts against what my husband was asking to receive. We received the Judge’s decision a few weeks later, and I was very pleased with Mr. Bryan’s efforts which resulted in my receiving very fair results. My wife and I contacted Attorney David Bryan after a woman hit me with her car as I walked my dog in the neighborhood where I lived. Mr. Bryan came to my home for my first interview with him as I was bed-ridden with a fractured hip and other injuries. I am a college professor, and this injury meant that I would be out of work for several months. As I recovered over those many months, Mr. Bryan regularly conferred with me not only about my healing progress but also about the amount of pain I was enduring. In order to make a record of my pain as I recovered, early on Mr. Bryan obtained one of the Pain Management charts such as you see in doctor’s offices or in hospital rooms where you can pick a figure out of ten figures to indicate your pain level. Mr. Bryan regularly checked with me and made notes on my pain level at intervals. In my opinion, the documentation of my damages, especially my pain and suffering, accumulated by Mr. Bryan could have not been done better. In the end, Mr. Bryan used all of his documentation of my damages to formulate a settlement demand for the policy limits from the insurance company who insured the driver. To our relief, the insurance company seemed to pay without any hesitation. My wife and I are grateful to Mr. Bryan for all of his diligent efforts during an extremely difficult period of time in my life. As a result of his meticulous work, my wife and I quickly received compensatory monetary damages in order to pay back our costly medical expenses. Mr. Bryan is an eloquent writer that cogently conveyed the extent of my injuries and loss of life's pleasantries to the liability insurance company. 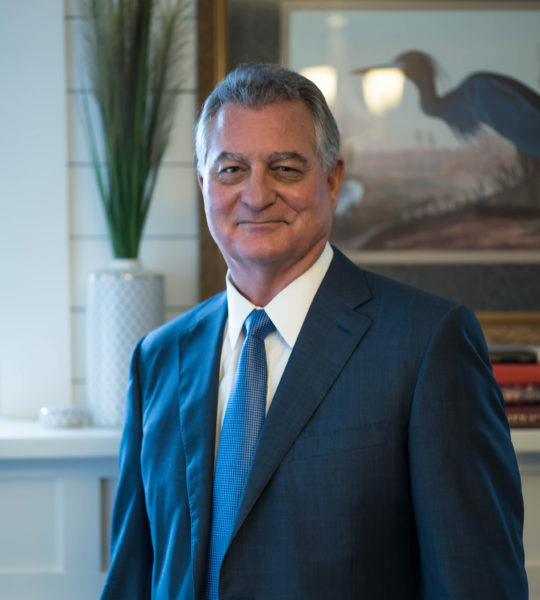 A few years ago, when the need arose for an attorney to represent me in a family trust issue, Attorney David Bryan was the first name that came to mind. My case was complicated by the fact that I live 200 miles away from where the case was being handled in Thomasville, GA. My issue with the trust concerned certain actions by the trustee. The first thing David did was to file suit against the trustee and not only convince the Judge to temporarily enjoin the trustee from conducting any more business for the trust, but David also convinced the Judge to appoint me as temporary trustee. After all four parties agreed to arbitration in Macon, GA, at that hearing David was able to convince the Arbiter that I should be awarded not only what I should fairly take in dissolution of the trust, but David also persuaded the Arbiter to award me more in compensation for my attorney fees. David or his very capable staff always promptly answered my emails or calls. When one is dealing with the stress of a lawsuit, it is a relief to know you are being represented by an extremely competent and caring attorney that has your best interests at heart. My marriage was in a mess, a divorce was imminent after only a few months, and I needed legal counsel not only to deal with the ordinary issues of a divorce, but in dealing with some very complex legal questions on marital property. I called Mr. Bryan's office because a family member had used him before in a divorce with good results. From my first appointment, Mr. Bryan and his staff guided me through the process with compassion for my wants and needs. It became clear to me early on that Mr. Bryan is exceedingly knowledgeable of the law and uses his knowledge to take care of his clients. It also is clear that Mr. Bryan strives for what is best for his clients and will relentlessly work for them. He is truly an exemplary representative of his profession. Thank you Mr. Bryan!! Mr. Bryan is a friendly caring attorney that shows knowledge and expertise in his line of work!